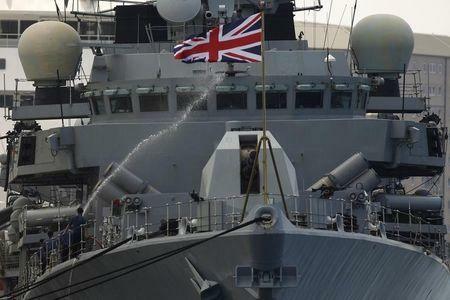 LONDON (Reuters) - Britain's Royal Navy said on Monday it had launched an inquiry after a sailor who served on its submarines armed with nuclear weapons said the vessels had major security flaws and were a "disaster waiting to happen". In a lengthy dossier released on the internet, Able Seaman William McNeilly, who describes himself as a weapons engineer, said Britain's Trident nuclear defense system was vulnerable both to enemies and to potentially devastating accidents because of safety failures. "Our nuclear weapons are a target that's wide open to attack," wrote McNeilly, who served on board HMS Vanguard, one the four submarines that carry the Trident missiles. He has since gone absent without leave. "All it takes is someone to bring a bomb onboard to commit the worst terrorist attack the UK and the world has ever seen," he added. The Royal Navy said it totally disagreed with McNeilly's "subjective and unsubstantiated personal views", describing him as a "very junior sailor". But it added it was investigating both his claims and the "unauthorized release" of his dossier. "The naval service operates its submarine fleet under the most stringent safety regime and submarines do not go to sea unless they are completely safe to do so," a spokeswoman said. McNeilly said people were not properly checked or searched before being able to get near or on the submarines, and that even nightclubs had stricter security. "I know most people know the Trident program is a disaster waiting to happen, but they never tell the public," he wrote. Police and naval officials were trying to find McNeilly, although a Ministry of Defence spokeswoman declined to say whether he faced arrest for breaking the Official Secrets Act. "Our main concern is to find him and make sure he's safe," she said. Under Trident, Britain always has one nuclear submarine on patrol. The fleet is based at the Faslane naval base near Glasgow, Scotland's biggest city. A decision on replacing the aging four Vanguard-class submarines is due next year and Prime Minister David Cameron's government has said it backs the multi-billion pound renewal. The Scottish National Party (SNP), which won all but three of the 59 seats in Scotland in this month's general election, is firmly opposed. "These revelations, if true, are extremely concerning. It reads as a nightmare catalog of serious safety breaches," said Angus Robertson, the SNP's leader in London. "They add to what appears to be a chaotic, shambolic safety culture on these aged subs."